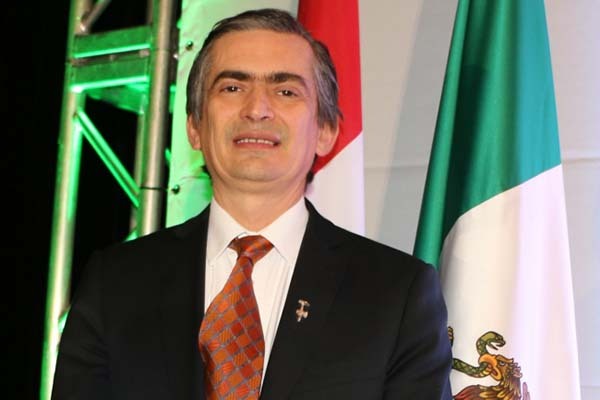 The incoming state visit of the President of Mexico, Enrique Peña Nieto, to Canada is a sign of rapprochement between the two countries and the priority of a bilateral relationship, said Mexican Ambassador Agustín Garcia-Lopez Loaeza. The presence of President Peña Niero, from June 26 to 28, shows the priority that both leaders give to this new era in bilateral relations, said the Mexican Ambassador in Canada. “State visits offered by governments are very rare and selective, and this will be a double honor, as the president of Mexico will be received not only by Canadian Prime Minister Justin Trudeau, but also by the General Governor, David Johnston, who is the representative of the head of state, Queen Elizabeth II”, he said. In an interview with Notimex, the Mexican diplomat recalled that when he presented his credentials to the General Governor of Canada, on January 26 this year, Johnston told him that he had had the pleasure to meet President Peña Nieto. “Governor Johnston and President Peña Nieto have seen and talked to each other before, first at the Panamerican Games in Guadalajara (Jalisco), then as representative of Canada at the swearing in of the Mexican president”, he said. García-Lopez Loaeza said the former dean of McGill University (Quebec) is very interested in the issues of science, technology, and innovation, and said that “they’ll most likely address these issues in their conversation”. Regarding the Trudeau-Peña Nieto meeting, the former ambassador of Mexico in France said that in addition to their first meeting at the Summit of the Group of Twenty, in Turkey, “I saw them together in panels of COP 21 and it seemed like there was a huge chemistry between the two, a great relationship”. He stressed that this state visit will be “symbolic and substantive” and will help give a boost to the bilateral relationship whose trade last year reached $34 billion dollars. Canada and Mexico are the third largest trading partner of each other. Canada is the fourth largest investor in Mexico, with $25 billion dollars, and with the purchase of Canada Bread by the Mexican Bimbo, investment is taking place on both sides, he said. Garcia-Lopez Loaeza noted that the bilateral trade is given especially in the sectors of energy, mining, finance, electricity, in addition to academic exchanges in technologies and innovation. The company Transcanada recently won the bidding for the Federal Electricity Commission to build pipelines from Houston, Texas and Tuxpan, Veracruz, to supply a power generation plant, he said. It is anticipated that the state visit of the Mexican President begins in Toronto on Monday June 27 with a dinner hosted by Prime Minister Trudeau, to be attended by representatives of political and business areas of Canada. On Tuesday, the activity would be in the Canadian capital, Ottawa, where he is expected to have contact with the leaders of the Federal Parliament. The next day, Peña Nieto will join his counterparts from the United States and Canada for the North American Leaders Summit, where the main topics will be: climate change, clean energy and environment; border trade and competitiveness; security and defense; and regional and global issues. Regarding the Summit of the Three Amigos, García-Lopez Loaeza said he forsees a very productive meeting between Trudeau, Peña Nieto, and Barack Obama, US president, to strengthen productivity and competitiveness in the region. In Mexico, Canada, and the United States “there are open doors for the free exchange of goods, ideas, academics, and contact between people. Thanks to the value chains that are being produced among the three countries together”, he said. He also stressed that “without mobility of entrepreneurs and investors it’s not possible to give productivity to the region”. He said that at a time when the world is facing “threats and risks,” exchange of information needed and dialog are neccessary to ensure border security, but in turn “facilitate the migration of people, visitors, students, business men”, he noted. About the promise of Prime Minister Trudeau to cancel the visa requirement for Mexicans, the Ambassador seemed optimistic that under this State Visit, the issue would move forward. “The announcement of wanting to remove the visa has been already given by Prime Minister Trudeau since his campaign, it has also been ratified by Canadian Foreign Minister Stéphanie Dion, in her meeting with Mexican Foreign Minister Claudia Ruiz Masseiu, so we expect the implementation of the measure”, he confided. The Mexican diplomat said that “we respect the times and procedures of Canadians, and we are attentive to what might happen”. He said that there has been an atmosphere of cooperation between the two governments, tremendous confidence has been restored: “I’m satisfied with the enormous level of dialogue, cooperation and desire to catalyze this strategic relationship, with goes with removing the visa”.